The UK has a fantastic choice of student cities that offer a great selection of nightlife, absorbing culture and world class higher-education institutions. As a student accommodation agency, we see a dynamic variance in popularity for cities each year. Most recently Liverpool has shown significant spike in student interest with Newcastle and Manchester consistently performing well for excellently located student residences. These cities have now become a marketable platform for student accommodation and further discussion will explain why. 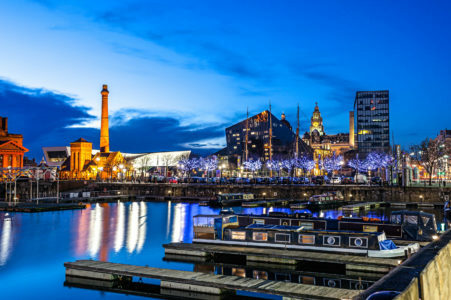 Liverpool is rightfully declared as one of the most loved student cities in the UK, with a student population of 70,000 according to topuniversities.com and praised for its affordable housing, reasonable cost of living and cheap entertainment. It’s no wonder that the student population in Liverpool has grown considerably, Edge Hill University has increased in size from 2000 students in 1993 to around 15,000 in 2018, according to citymetric.com. Cafes, accommodation and nightlife have helped drive the cities popularity. Liverpool students say the city’s nightlife is an exceptional feature, Concert Square is rated the best nightlife venue in the UK by Student Hut users. This area is occupied by several venues, which often run huge drink offers, so the appeal is understandable. In addition, the centre of town, Lark Lane and the Baltic Triangle are the three hot spots for a lively night out. Students will find some of the best cocktails and live music and can take advantage of the student discounts offered in most bars and clubs. The Krazyhouse – An alternative club with three floors, drink offers, themed nights and occasional live music. Level – Multi-floor nightclub with some of the biggest DJs Liverpool has to offer. Heebie Jeebies – Trendy cocktail hangout, underground bar, live music venue and nightclub, all rolled in to one building. Mansion – Liverpool’s premier nightclub, caters for house music fans. Liverpool also offers inexpensive university accommodation with the average cost between £80-£120 per week, truly one of the most affordable student cities in the UK. When taking a break from your studies students can enjoy a variety of cultural institutions, such as The Liverpool Everyman & Playhouse, The Walker Art Gallery and Tate Liverpool. Moreover, Liverpool is home to one of the most beautiful parks in the UK: Sefton Park. If you enjoy gorgeous scenery grab a library book and explore the cities parks. “Liverpool is a fantastic location for any student. The night life is superb and while Liverpool is a small, compact city, there’s no shortage of pubs and clubs to head to. The cost of living is extremely cheap as well, especially compared to down south.” Student Hut 2018. Newcastle is praised for its affordable cost of living and outstanding nightlife; therefore, it has been named the best university city in the UK, not once, but twice. The city’s universities come highly recommended. Newcastle University ranks 26th in the country university league table for 2018, Northumbria University also ranks consistently according to recent publications. Additionally, some of the largest shopping centres in Europe reside in Newcastle, offering students and visitors alike a great retail experience. The nightlife in Newcastle is vibrant and diverse with something to suite everyone. Students enjoy the independent music venues and plethora of eating establishments. The Quayside is a bustling location with a range of excellent bars and pubs situated on both sides of the River Tyne with Riverside one of Quayside’s most famous clubs. However, there’s plenty more options in the cities clubbing scene. Tiger Tiger – Dance to cheesy retro tunes in an illuminated exterior in seven eclectic rooms. Not the cheapest but an experience. Florita’s & Madame Koo – Interlinked clubs. Madame Koo has a dark, sultry vibe and Florita’s is Miami-inspired with tropical interiors. Digital – Ranked the 11th best club in the world, for a Saturday night in Newcastle this is the place to go. The vastness of the city means there’s an enviable choice of restaurants ranging from casual to fancy. Zapatista Burrito Bar serves traditional Mexican street food at a reasonable price for students. Ernest is great for an afternoon lunch, set in an Industrial chic space with live entertainment and praised for its quirkiness and delicious food. For those who crave culture there’s plenty of educational and eye-opening experiences, such as the Chinatown district (one of only five in the country), art deco Tyneside theatre, the Great North Museum and the Baltic Centre which is renowned for contemporary art. An estimated 99,000 students reside in Manchester according to Student Hut 2018. Belkis Megraoui – Content Writer of TopUniverstities.com states “Manchester is the UK’s second biggest city and is also ranked as the second most affordable UK city for students.” The average rent for student housing is between £75 to over £150 a week but this will vary depending on the location and quality according to Save the Student 2018. The University of Manchester is ranked 29th in the world and this highly ranked institution as well as the outstanding entertainment and facilities on offer is responsible for the city’s growth. ‘Recent data from the University of Manchester show that 94% of its UK first degree graduates were working or studying after six months, and that 82% were in graduate-level jobs and/or study.’ (IEC Abroad 2017). Hence, the city also has fantastic Graduate employment opportunities. As it is one of the biggest cities in the UK, Manchester offers an abundant choice for eating out. From big restaurant chains to unique hidden gems. Sweet Mandarin was recently voted the best Chinese Restaurant in the UK by Gordon Ramsey, serving fantastic dishes from a modern menu. Luck Lust Liquor and Burn serves food that is just as quirky as its name. From burritos to cheeseburger fries and a happy hour from 5-8 this contemporary Mexican is worth a visit. The nightlife in Manchester is an attraction in its own right with over 400 pubs and café bars, in addition to major club establishments and live music hot spots. There’s also a considerable selection of theatres, cinemas and shopping outlets to cater for all tastes. Tiger Tiger – The biggest city centre club in Manchester, with 8 different rooms covering a vast selection of music genres. Revolution – One of the best affordable clubs in town, well catered for pop and cheese fans. Gorilla – One of the most popular clubs to hit the Oxford Road area. A top 10 Manchester club with reasonably priced drinks and an eclectic mix of genres. “Something about Manchester is truly magical and makes you never want to leave! Home to both a red brick and a met uni as well as music collages and other universities in surrounding areas such as Salford, Manchester is full of students.” Student Hut 2018.